The group is now the largest single-school adjunct collective bargaining unit in the country. 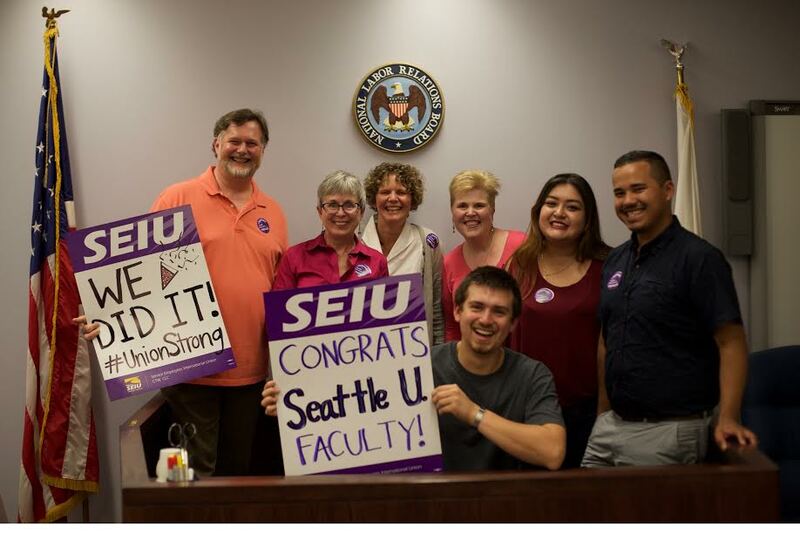 FLORIDA – Today, adjunct professors at Miami Dade College voted to form their union with SEIU FPSU Faculty Forward. With about 2,800 professors eligible to vote, MDC will be the largest adjunct union in Florida and the largest single-school adjunct collective bargaining unit in the country. While a recent report, Florida Colleges in Crisis, found that seven in 10 professors in the Florida College System are now adjunct professors, Miami Dade College has an even higher share of faculty working part-time and with little job security. In 2017, 81 percent of faculty at MDC were part-time contingent and off the tenure track. Despite making up such a large portion of the teaching faculty, adjunct professors teaching the max load at the school make just slightly over $22,000 a year. Miami Dade College professors’ organizing campaign gained national attention last month after the administration suggested low-paid professors consider public assistance. Such actions and extremely low wages help explain why adjuncts at the college and throughout Florida have been organizing for change on their campuses and advocating for greater investment in education. With this breakthrough, Miami Dade College adjunct professors join their colleagues at Hillsborough Community College, Broward College, University of South Florida and Seminole State College who have already formed their unions with SEIU’s Florida Public Services Union (FPSU) Faculty Forward in Florida. Adjunct professors at St. Petersburg College, Lake-Sumter State College and South Florida State College kick off their union elections in the coming months. Florida has become an unlikely hotbed of academic protest and organizing. In under two years, more than half — about 9,000 — of Florida’s adjunct professors have either formed or filed for their union. Over the last decade, per student investment in higher education is down 13 percent in Florida. Funding cuts have forced colleges and universities to fill the gap by raising tuition and relying on lower-paid adjunct faculty. Adjunct professors make a median of just $17,000 a year. Meanwhile average tuition is up 59 percent and student debt in Florida has grown faster than in any other state over the past three years. As a result, three of the six metro areas with the biggest student debt increase in the country are in Florida: Orlando, Tampa, and Miami.